Koç Group Company Setur Marinas began its operation in 1978 with Çeşme Altınyunus Marina. Setur Marinas, which is one of the numbered chain businesses of the Mediterranean Basin in the marina sector, is also the leading marina chain in Turkey. Setur Marinas, which manages a total of 10 marinas including Kalamış/Fenerbahçe, Yalova, Ayvalık, Midilli, Çeşme, Kuşadası, Marmaris, Kaş, Finike and Antalya, is the most important brand that supports the growth of the marina sector in Turkey. One of the Mediterranean Basin's prominent chain marinas in Marina operations, Setur Marinas has a total of 10 marinas. 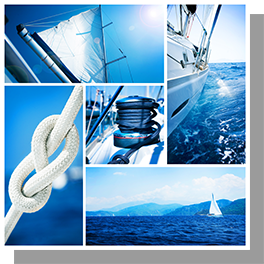 Setur Marinas' experienced team assists its customers in many topics such as hotel and flight ticket bookings, tours, car rental, entry-exit formalities and yacht insurance in addition to customary marina services. Social areas such as shopping centres, markets and restaurants found at many of the Setur Marinas also offer guests the opportunity to have a pleasant time. Also, Setur Marinas is followed closely by other marina enterprises thanks to its innovative approaches to operational needs.